Norwegian Cruise Line has unveiled an intimate, once-in-a-lifetime gourmet dining experience by introducing the Chef's Table fleet-wide. Guests who attend the Chef's Table dining experience will marvel in an incredible culinary adventure as they feast on a nine-course, upscale menu consisting of unique and contemporary creations using the highest quality ingredients, sophisticated cooking techniques, flavor compositions and captivating presentations. All courses are accompanied by wines that are specially paired by a Master Sommelier. The two-and-a-half hour Chef's Table dining experience begins with an intimate reception where guests enjoy a glass of champagne as they mingle with the ship's Executive Chef, Food and Beverage Director, Restaurant Manager, Assistant Maître d' and Head Wine Steward. Following the reception, guests are invited to take a group photo before sitting down to begin their gourmet culinary experience in a luxurious and intimate restaurant setting that provides privacy and exclusivity. The Executive Chef welcomes the group and then goes on to describe the first two courses: an Amuse Bouche ?Molecular Gastronome' consisting of Spherical Mango, Vodka & Jalapeno Ravioli and an Orange-Wasabi Glazed Ahi Tuna Tartar with freshly-baked Sesame Crisp. Courses one and two are accompanied by the Master Sommelier's expertly-paired wine selection. Asparagus Cream is served for course three, followed by the fourth course, a Short Crust Tartlet and a delightful Grapefruit and Moscato Granite is served as course number five. As the Executive Chef describes the ingredients and technique used to create courses three through five, the second wine selection is served and the Chef invites questions about the dishes. Course six consists of a Plantain- Crusted, Pan Seared Sea Bass accompanied by Mango, Papaya & Avocado Salsa and Lobster Veloute and a Milk-Fed Veal Chop with Anna Potatoes, Sautéed Spinach and Truffle Veal Jus rounds out course number seven. A specially-selected cheese platter that boasts an assortment of gourmet cheeses is served as course eight and the grand finale, course nine, is dessert, which consists of either a Yogurt-Mousse Dome with Lychee Raspberry Crème, Hazel Sablee and Lime Vanilla Reduction; or a Chocolate Log with 'Spiced' Dark Rum, Infused Banana and Cocoa Mousse. This exclusive dining experience is offered for a cover charge of $75 per person, including gratuities, a behind-the-scenes galley tour, one group photo and an individual photo with the Executive Chef. The Chef's Table is limited to 12 guests per exclusive dining experience and is offered once per cruise on board Norwegian ships fleet-wide, with the exception of Norwegian Jade which rolls out March 22, 2012. 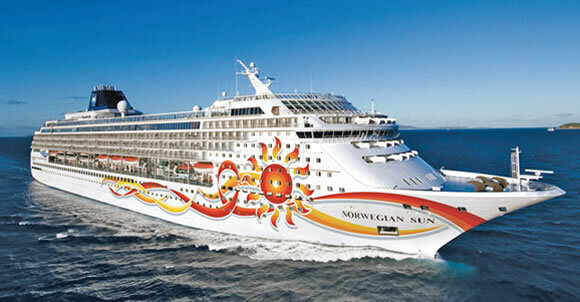 Norwegian Cruise Line is the innovator in cruise travel with a 45-year history of breaking the boundaries of traditional cruising, most notably with the introduction of Freestyle Cruising which has revolutionized the industry by allowing guests more freedom and flexibility. Today, Norwegian invites consumers to "Cruise Like a Norwegian" on one of its 11 purpose-built Freestyle Cruising ships, providing guests the opportunity to enjoy a relaxed cruise vacation on some of the newest and most contemporary ships at sea. The Company has two 4,000-passenger vessels, Norwegian Breakaway and Norwegian Getaway, on order for delivery in April 2013 and April 2014. Norwegian's largest and most innovative Freestyle Cruising ship, Norwegian Epic, debuted in June 2010 and has been named "Best Overall Cruise Ship" by the readers of Travel Weekly. Norwegian Cruise Line is the official cruise line of Blue Man Group, appearing for the first time at sea on Norwegian Epic, as well as the official cruise line of Legends in Concert, Second City® Comedy Troupe, Howl at the Moon Dueling Pianos, and Nickelodeon, the number-one entertainment brand for kids. Cirque Dreams? & Dinner is also featured on board Norwegian Epic as the first show of its kind at sea under a big top..